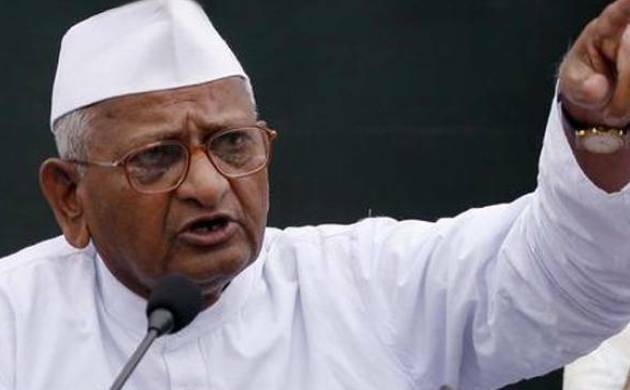 Anna Hazare on Wednesday slammed Delhi Chief minister Arvind Kejriwal's demand of holding civic polls through paper ballots and said that those doubting the electronic voting machines (EVM) were trying to go back in time. Social activist Anna Hazare on Wednesday slammed Delhi Chief minister Arvind Kejriwal's demand of holding civic polls through paper ballots and said that those doubting the electronic voting machines (EVM) were trying to go back in time. Hazare said that holding elections through paper ballot was a painfully time-consuming process. "There used to be long queues at polling booths because every step in the process took time. Even during the counting of votes, all the paper ballots from all ballot boxes had to be mixed first before counting started and the process took hours, " he said. Hazare, however, urged the Union government and the Election Commission of India to use totaliser machines in elections. "A totaliser machine makes it impossible to find out booth wise voting pattern. When candidates find out which areas did not vote for them, they become vindictive and harass voters", he said.